The satellite’s mission is to measure changes in Earth’s ice sheets, sea ice and vegetation linked to climate change. Specifically, it will look at how the ice sheets of Greenland and Antarctica contribute to sea level rise. ICESat-2 carries a single instrument, a laser altimeter that measures height by determining how long it takes photons to travel from the spacecraft to Earth and back. Cal Poly San Luis Obispo’s CubeSat called DAVE – about the size of a softball – also rode along as a secondary payload. This satellite that was built by students will study the behavior of particle dampers in microgravity conditions to see if they can be used to prevent vibrations, which often affect science experiments. 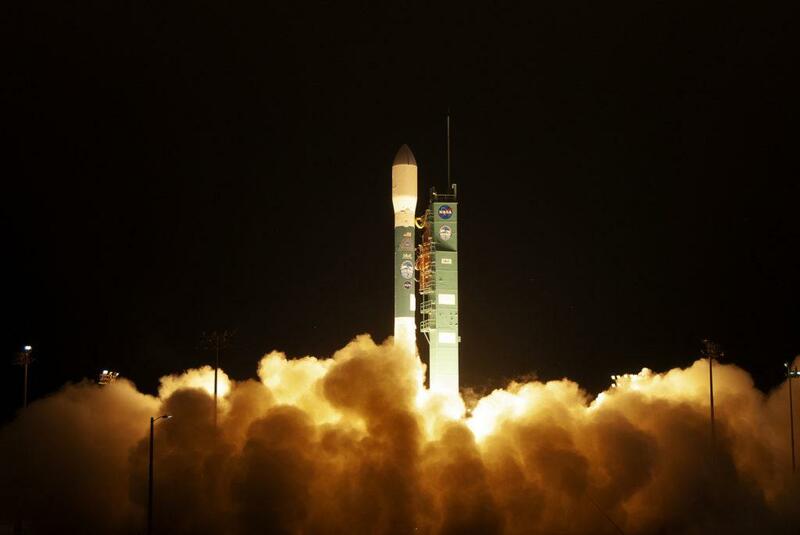 This was the final flight of a Delta II rocket, which has been launched more than 150 times including some missions to Mars.